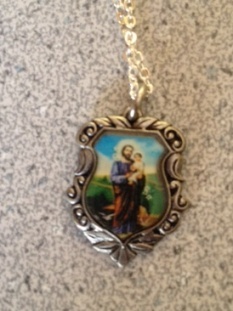 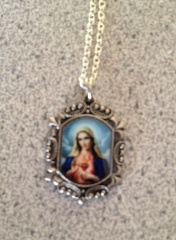 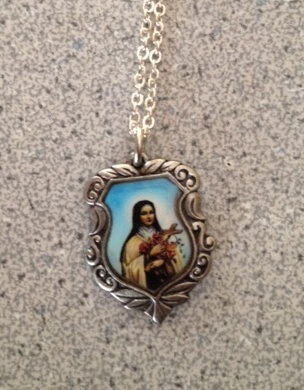 Beautiful full color images of Immaculate Heart of Mary - finely engraved in silver tone metal. 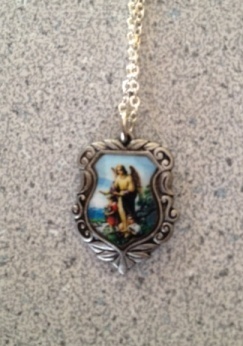 Comes on delicate chain pendant. 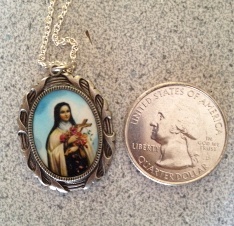 Measures about 3/4" high.